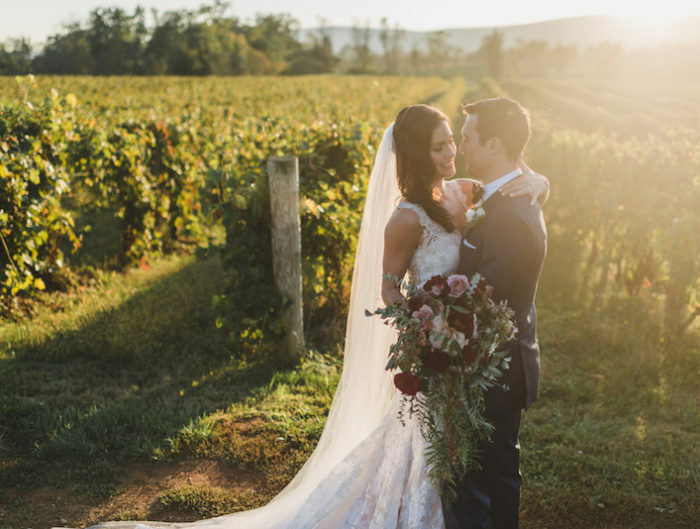 We’re back with part two of Maria and Erik’s Virginia wedding from Ever After Visuals. (Don’t miss their very personal wedding ceremony,with one of my favorite traditions that we’ve featured!) They let their bold purple and black color palette stand out at their ceremony, and I love their (practical!) choice of favors. Each guest received a mini lantern, and it helped to light the way as they headed home after a truly intimate and meaningful celebration. From Maria: We chose eggplant and black with some accent colors as our color palette as we wanted something to make a statement, but remain chic and elegant. It was also important to us to have the wedding feel personal and intimate. We loved our “make it ourselves” cardbox and mini lantern favors that lit the wooded paths for guests as they left the reception. 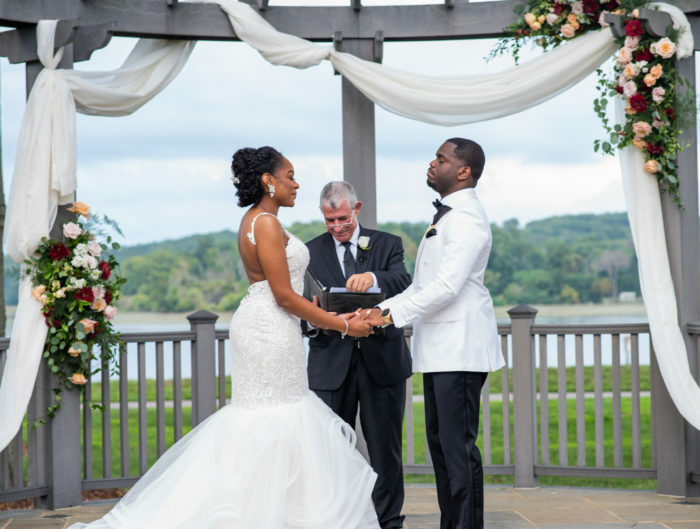 Finding the perfect wedding venue in the DC area can be quite overwhelming as there are so many! Start looking early and schedule in-person visits, don’t rely on websites alone as they can be misleading at times. As for priorities, worry about pleasing yourselves and not everyone else. I would also recommend spending as much time with your guests as possible as the day flies by! We did the majority of our photography with our families and wedding party prior to the ceremony to maximize time at OUR party. Many worry that this takes away from the first time seeing each other as the bride walks down the aisle, but we couldn’t disagree more. Our photographers did a “first look” photoshoot with us where it was just my husband and myself getting to see each other and it was by far the most private moment of our entire day and we loved it. 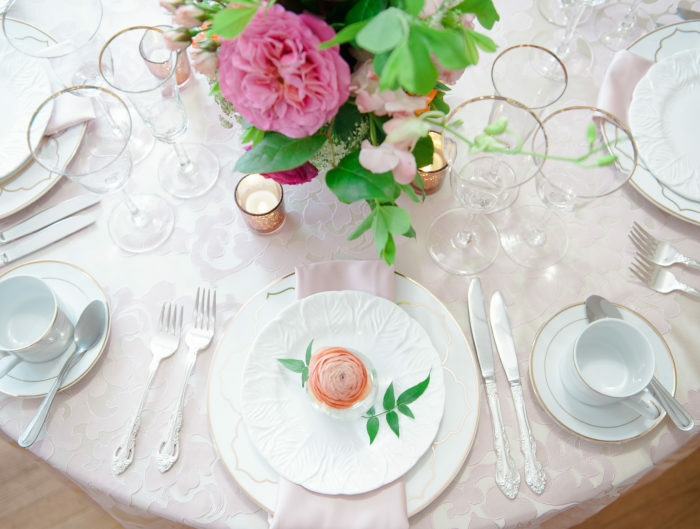 Lastly, hire day-of-wedding coordinators if not a full wedding coordinator. It might seem like extraneous money, but I can easily say it was the best money we spent for our wedding day. *Ever After Visuals is one of our fabulous sponsors. For information on our editorial policies, please click here. This two-part section on Maria and Erik’s wedding was beautifully done. The pictures are gorgeous, and the writing by Maria give them a special touch!